Jerry Lenard John passed away peacefully on December 17, 2012. He was born on April 25, 1935 to Jared Curtis John Jr. and Alice B Merrill John in Solomonville AZ. He was the youngest of six children. He was an excellent Basketball player and his High School won the State Championship. He also went on to play for ASU before serving a two year Mission in Australia for the Church of Jesus Christ of Latter Day Saints. He played lots of basketball on his mission and many of his games were televised. On March 11, 1960 he married his Love, Orlena Clair Maloy in the Mesa AZ. LDS Temple. In 1961 they welcomed their first daughter and in 1962 they moved their family to Blythe Ca. to work with his family on the Rancho Del Juan family farm. In Blythe they welcomed two more daughters into the family. Jerry loved farming the land and was good at it. He was a large man standing at 6’4 with big strong hands. He was humble, kind, honest and an excellent example to all those around him. He was very active in the LDS church and held many leadership positions. In 1993 Jerry and Clair moved to Mesa AZ. to be near Doctors as Clair?s health was declining. In June 1996 he laid his sweet wife to rest. His faith kept him strong and he knew one day he would be reunited with her and the rest of his family. He leaves behind 1 brother, Neil(Julie) John of Blythe. Daughters, Sherri (Robert)Guy of Red Oak TX., Ella Charlene Maloy of Healdsberg CA, and Christine(Charlie)DeFreese of Blythe. 10 grandchildren and 15 Great-Grandchildren. 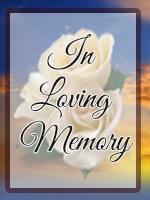 Services will be held Jan 5, 2013 at 11.00am in Apache Junction AZ. He will be laid to rest at the Mesa City Cemetery next to his wife.